Cyber bullying has assumed monstrous proportions, with numerous incidents of kids committing suicide after being harassed by bullies reported across the world. It’s not all bad news, though. Bringing much hope are initiatives like the Great Kindness Challenge, which aims at helping children in developing empathy, combating bullying, and building self-esteem. In 2017, more than 10 million students from 15000+ schools reported more than 500 million acts of kindness, according to the official website of initiative thegreatkindnesschallenge.com promoted by a global non-profit called Kids for Peace. Such initiatives can go a long way in not only countering the alarming rise of cyber bullies by fostering a culture of kindness in schools. It’s possible – The Great Kindness Challenge believes that kids develop a habit of kindness if they repeat this action. Conducted every year since 2011, the Great Kindness Challenge week welcomes schools from across the globe to participate actively, and become Kindness Certified school. As a teacher, you can sign up as Kindness Ambassadors and register your school for the Kindness Challenge. 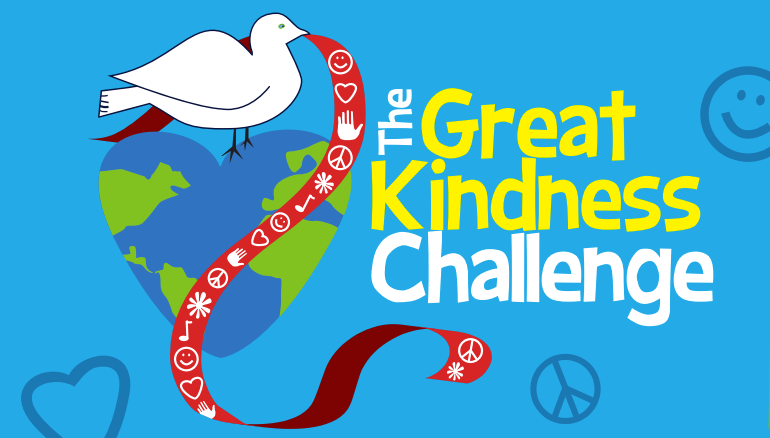 You will receive a free Great Kindness Challenge tools once you register. During the Great Kindness Challenge week, you need to distribute the checklist of kind deeds to your students and get busy creating a culture of kindness on your campus. This is a good opportunity for academicians to promote kindness not only in action but also online, to build better digital citizens. You can send out a special message on during the Great Kindness Challenge week highlighting examples of online kindness such as following good netiquette, reporting a cyber bully anonymously, befriending a cyber bully victim and boosting his/her morale, and donating online for the underprivileged.